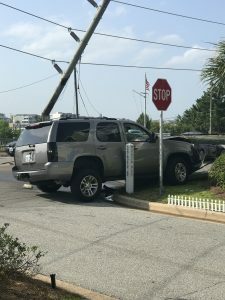 Police on Wednesday continued the search for the driver and passenger who fled an SUV after it struck and knocked over a power pole and cut electricity on Wrightsville Beach’s south end and Harbor Island for several hours on Saturday, June 23. On Monday, the Wrightsville Beach Police Department announced they issued arrest warrants for 29-year-old Matthew Branson, a white male from Thomasville, who is the registered owner of the champagne-colored Chevy Tahoe SUV and is believed to be the driver at the time of the crash, and 25-year-old Lacey Alexander, a white female from Monroe, who police believe to be the passenger. 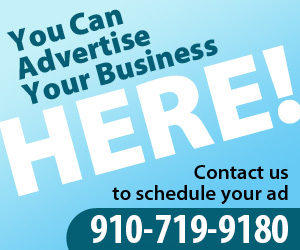 The wreck occurred around 4:30 p.m. Saturday on Waynick Boulevard near Arrindale Street. The Tahoe hit a dark blue BMW as the driver was attempting left turn. The collision left the BMW in the northbound lane with minor front-end and tire damage, while the female driver was transported to the hospital with minor injuries. 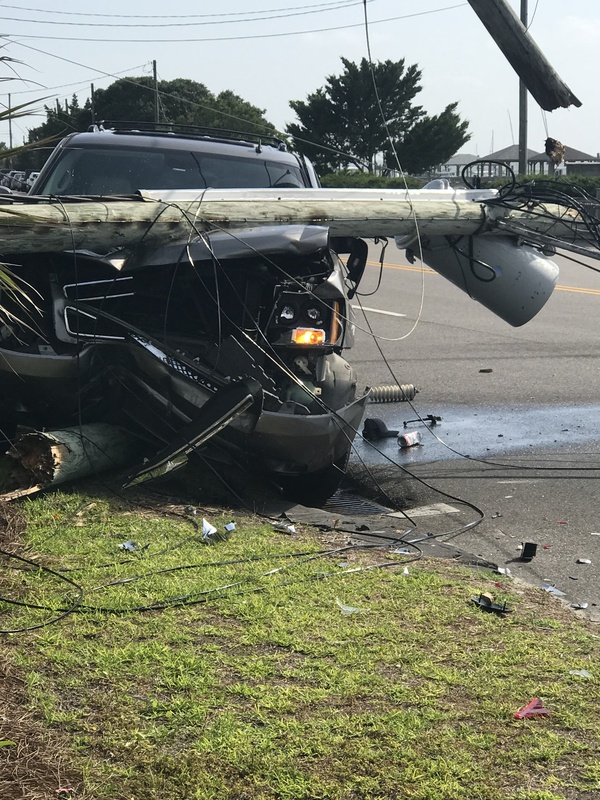 After the collision, the Tahoe hit a power pole on Waynick Boulevard, splintering it in three pieces and leaving a live power line on the road. Repair crews worked until nearly midnight trying to repair the powerline, leaving the island’s south end and parts of Harbor Island without power until nearly midnight. Branson’s warrant lists several charges, including DWI, felony hit and run, felony littering, open container, possession of marijuana, possession of marijuana paraphernalia, and failure to report accident. Alexander’s charges are for open container, possession of drug paraphernalia, and for failure to report an accident. Wrightsville Beach police said Branson and Alexander left the scene shortly after the car wreck and so far, have no photos or video that can show how they eluded detection. Wrightsville Beach Police Chief Dan House said the two could have gone to the beach or into a store or restaurant and used an Uber to get off the island later. However, Branson won’t be able to retrieve the Tahoe registered in his name until he turns himself in, police said. Additionally, Branson has been entered into the National Crime Information Center database, which will result in his arrest if his information is processed by law enforcement anywhere in the country. Wrightsville Beach police have requested law enforcement in Thomasville and Monroe to try to serve the warrants on the fugitive suspects, but as of Wednesday, the pair had not been arrested. Witnesses at the scene said that Alexander could have been injured in the crash, but no one matching her description received medical attention at New Hanover Regional Medical Center, police said. Police are also reviewing local camera feeds to see if they can find images of the suspects. The town’s camera at Wynn Plaza was not able to capture an image of the suspects, but police are working with merchants in the town’s central business district to see if any images of the suspects can be found.